Still Think Medical Malpractice Claims Are Frivolous? In short, the objective data supports what we should all know based on common sense; healthcare providers, like the rest of us, are not immune from making mistakes. And, like the rest of us, when they make mistakes they should be held accountable. Why should a physician or nurse be treated any differently than an accountant, a construction worker, or the driver of a motor vehicle? When these folks make mistakes and are found liable, they have to pay for the damages their mistakes cause. The healthcare profession should be no different. The merit of any case should be judged based upon the facts and circumstances surrounding it, rather than being immediately dismissed as frivolous just because of the industry in which it originates. 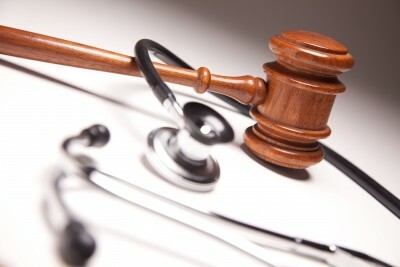 In medical malpractice cases, more often than not, people have been severely injured or even killed. If it was your family member, would you want the case to be labeled as frivolous before the facts are even heard? Consider that question the next time you here a right wing spokesperson chastise the trial lawyers in this country for rising healthcare costs. Did you know that in 2009, according to the National Association of Insurance Commissioners (NAIC), the total amount of money spent defending claims and compensating victims of medical malpractice was $6.6 billion, just 0.3 percent of the $2.5 trillion spent on healthcare in the country that same year. In 2004, the Congressional Budget Office (CBO) calculated that medical malpractice costs amounted to less than 2 percent of overall healthcare spending in the country. So, the question remains, are medical malpractice lawsuits the real problem behind rising healthcare costs? The math would seem to suggest not.